Gorgeous cakes (sorry I was so taken away with their prettiness that I forgot the company name!*). 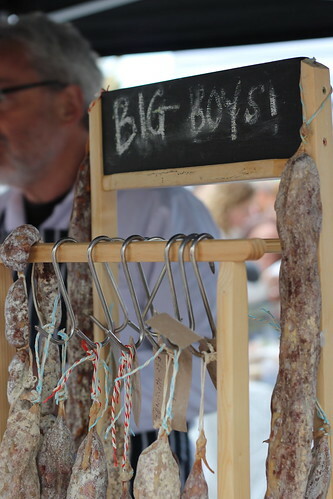 *I have now been thankfully informed that they are by Browns of Brockley. 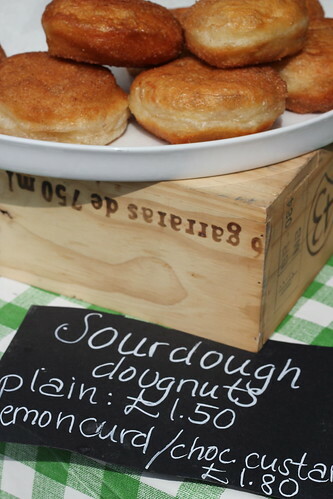 Sourdough doughnuts and almond tarts from London Particular. I got the last jam doughnut, it was incredible! 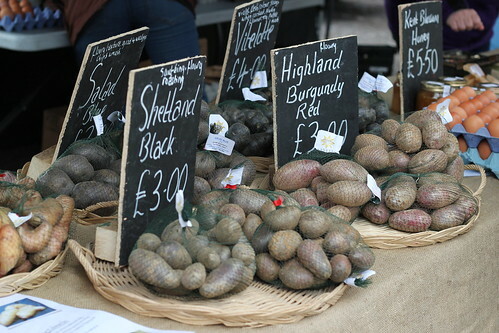 Lovely to see such a great range of potatoes – I don’t think I had heard of any of them! 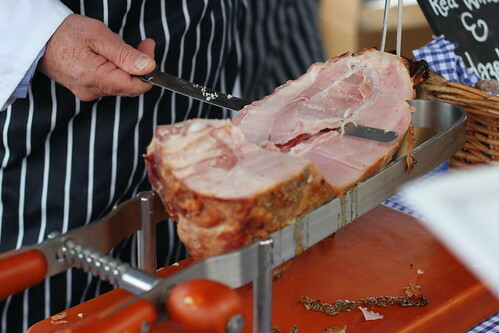 Hand carved traditional ham and big boys from Moons Green. 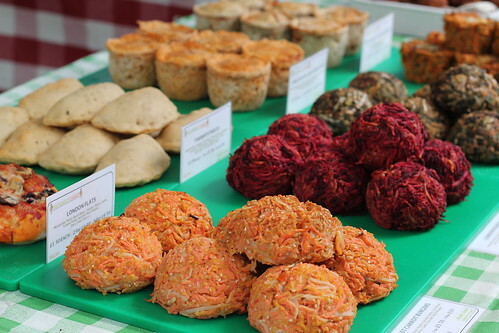 Even vegetarian food from The Honest Carrot looks amazing! 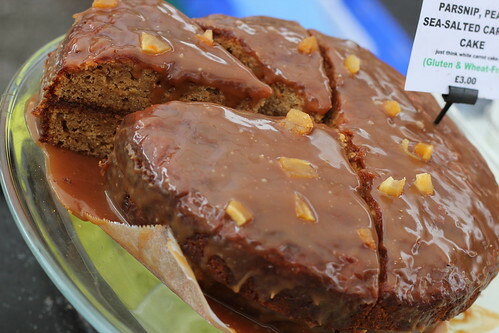 Hard to believe this delicious cake, from Sugargrain, is gluten and wheat free – love a bit of salted caramel! 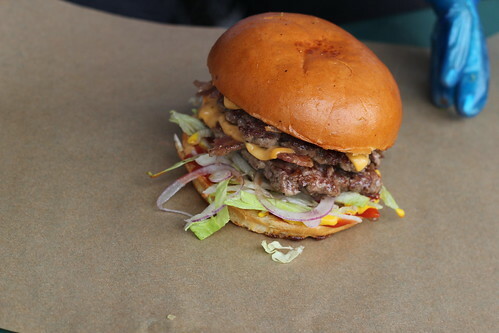 Awesome burger from Mother Flipper UK – best bit was the candied bacon! 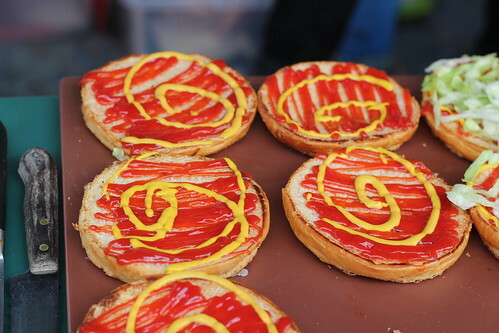 A little bit of condiment art to finish off – I would definitely get this framed for my wall!!! 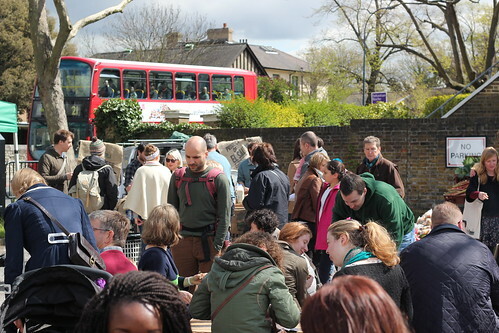 Shiny, happy people eating and enjoying themselves at this great market. 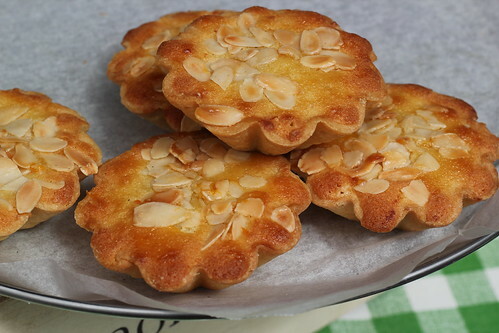 What to buy = go hungry and have breakfast, brunch and lunch! 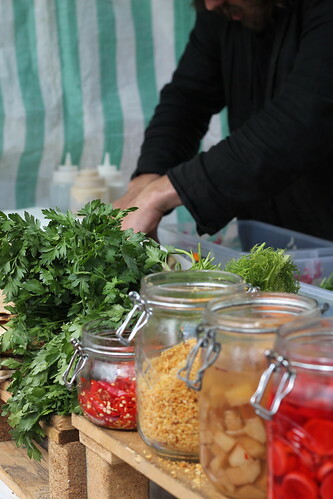 Take a bag and a cool bag too if its hot as there is loads to take home – fresh meat and fish, cakes, eggs, fruit and veg, flowers, charcuterie, cheese, scotch eggs, etc, etc. 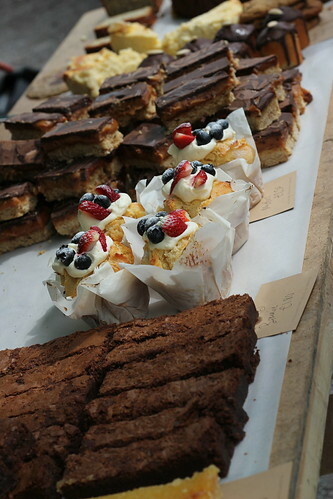 The cakes are by Browns of Brockley!